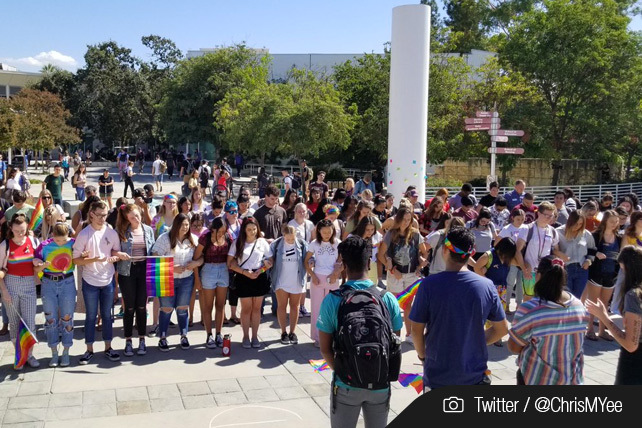 Little more than a week after news broke that Azusa Pacific University lifted a ban on LGBT relationships on its campus, the university has reinstated the ban. A spokesperson for APU’s board of trustees said the board did not approve the change in language in the university’s code of conduct, which essentially brought about the original lift. We remain unequivocally biblical and orthodox in our evangelical Christian identity. The Bible serves as our anchor. We stand firm in our convictions, never willing to capitulate to outside pressures, be they legal, political, or social. We affirm God’s perfect will and design for humankind with the biblical understanding of the marriage covenant as between one man and one woman. Outside of marriage, He calls His people to abstinence. We advocate for holy living within the university in support of our Christian values. We declare that our clear mission to equip disciples and scholars to advance the work of God in the world is more necessary today than ever before. That’s not to say that the LGBT community at APU is happy about the decision. The group, which had plans to move their informal “Haven” gathering on campus as a university-sponsored group after the ban was lifted, will continue to meet, but it is not clear what the future will hold for them. Whether they will eventually be allowed to meet on campus or not, the group is committed to providing a safe space for students who identify as LGBT. On Monday, October 1, about 200 students gathered outside the university’s event center in support of LGBT students.